Public relations is a complex strategic communication process that builds mutually beneficial relationships between companies and organizations and the publics they serve. Bored yet? We don’t blame you. This basic definition of PR is why nobody really understands what public relations practitioners do on a day-to-day basis. The truth is, PR is an often-intangible world that inhabits a unique space amongst traditional marketing and advertising activities. Here at Stoner Bunting, we pride ourselves on being a full-service marketing agency that specializes in home and building products. For 30+ years we have cultivated a workplace structure and mindset that benefits this specific segment of clients. However, in the past few years the formula for building a winning marketing plan has changed. The rise of modern public relations, driven by digital engagement and social media has also shifted. As more and more building product brands struggle to bridge the gap between traditional advertising and media relationships, we have worked to strategize, develop and execute PR plans that do both. Publishers and editors were once the gatekeepers who supplied the A&D community with engaging content that informed and persuaded them, but we have used mediated interpersonal communication, owned media assets and social channels to complement and bolster their work. One way we achieve this is by capitalizing on trade shows and industry gatherings that bring all key players to the same city or region. 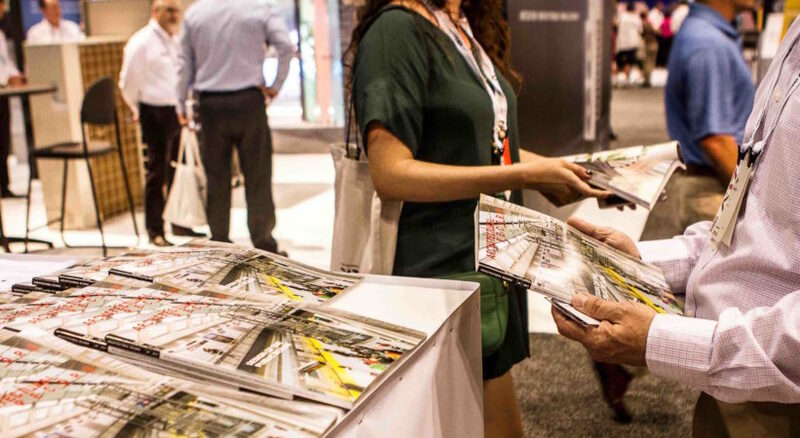 From NeoCon, the world’s largest commercial interior design show, to the AIA Conference on Architecture, a gathering of 17,000+ architects, designers and manufacturers, the possibilities for strategic engagement are endless. Without the proper strategy, however, your chances of standing out and earning your keep are slim to none. In fact, recent figures show that out of the average 400 booths at a trade show, the typical attendee visits 21. That means your booth has about a 5% chance of being visited by any given attendee. This sad statistic should serve as a healthy dose of reality to the industry, but it seems that companies and brands are happy to have reps sit in their booths and wait for leads to come in. Here at Stoner Bunting, we take the opposite approach. We help our clients go beyond the booth to engage with the A&D community on a more personal, face-to-face level away from the trade show floor. In recent years, Stoner Bunting has capitalized on trade shows by hosting influencer events. Whether it is a dinner or a behind-the-scenes manufacturing tour, we pair clients with architects, designers and trade publications. 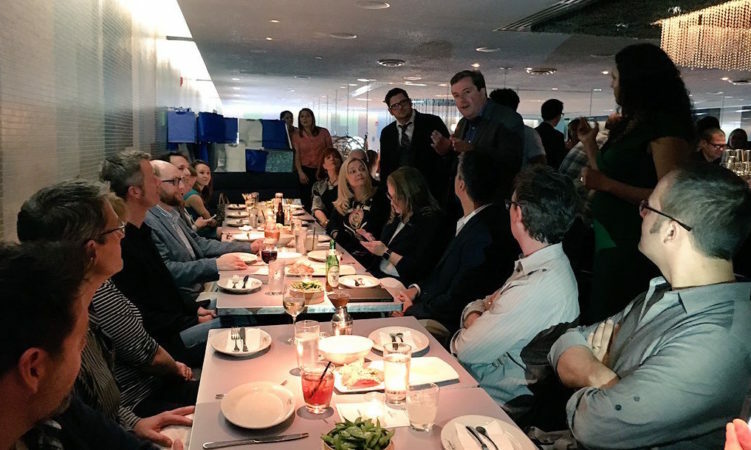 Stoner Bunting and client CertainTeed Ceilings hosted an influencer dinner surrounding AIA 2016 in Philadelphia last year. The event paired client reps with architects and designers. This face-to-face meeting of minds helps build relationships with key audiences and target media. As many of the attendees are well known on social media and run blogs, forums, podcasts and more, it also helps keep our clients at the forefront, building special connections and engaging continued conversations and relationships. Events like this can also result in a high level of interaction and engagement on social media, raising awareness in a subtle and organic way. This helps demonstrate the brand’s message and personality, humanizing it and putting faces with a corporate logo or brand name. 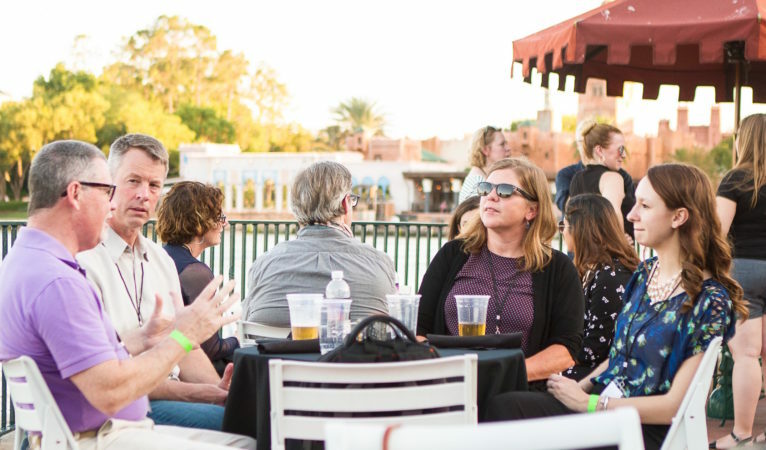 With the AIA Conference on Architecture 2017 located in Orlando this year, Stoner Bunting began brainstorming off-site events and influencer engagement opportunities early in the planning process. A few months before the show we devised a plan that would bring together our clients, influential architects and the A&D community in the most magical place on earth. The “Architecture Around the World” group raised a glass to GKD in the Germany Pavilion in EPCOT. John McGrath, ‎Director of INSTALL, talks about the organization’s commitment to training the next generation of American journeymen and flooring installers. Along the way, guests learned about our clients unique products, commitment to manufacturing and design excellence, and had valuable conversations with architects, designers, editors, publishers, brand representatives and important decision makers. These are the relaxed, organic conversations that are impossible to have on a show floor. John Caulfield, Senior Editor of Building Design+Construction, talks with Jeff Echols, architect and Membership Development Director for AIA Indiana, along with Ebeth Pitman, ‎Director of Brand Development & Marketing at Armstrong Flooring, Inc., and Emily Shuler, Assistant Account Executive at Stoner Bunting. After fireworks on the lagoon, we ended the evening with a private, behind-the-scenes journey through the sky, flying high from one extraordinary landmark to the next. 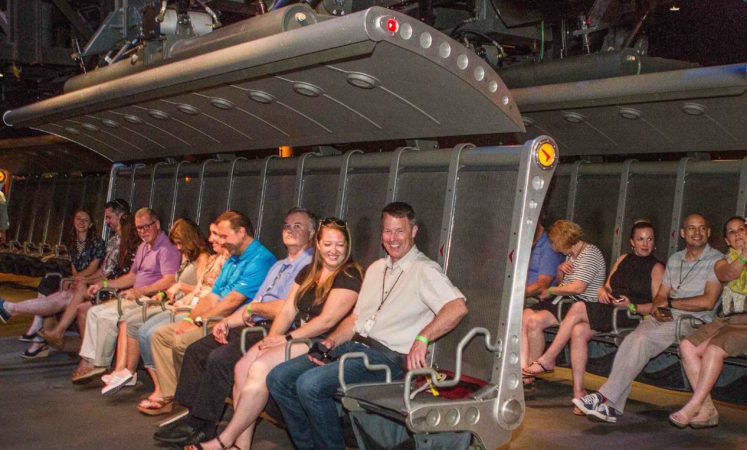 Soarin’ Around the World brings the feeling of flight to life using a 180-degree, 80-foot IMAX projection dome and aerially captured footage that simulates the graceful motion of a hang glider. 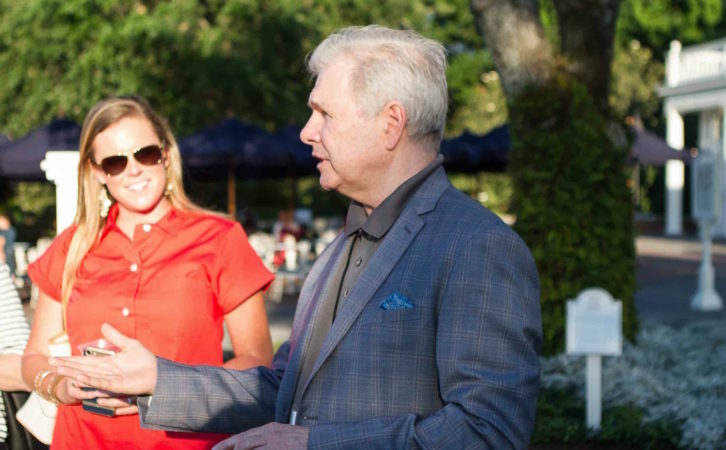 Not only did the event allow clients to engage with architects, designers and the media, it was the perfect opportunity to create lasting relationships and deeper connections. Another key aspect of Stoner Bunting’s AIA offerings was to capitalize on CornellCookson’s recent partnership with GKD Metal Fabrics. The companies connected to create a rolling metal grille geared towards both technical performance and design flexibility. Using CornellCookson hardware and GKD metal mesh, the elegant storefront grille is visually appealing while still providing security for merchandise and valuable goods. Placed in front or behind the glass, it is available in a number of different patterns – and can even be etched with a logo or design. 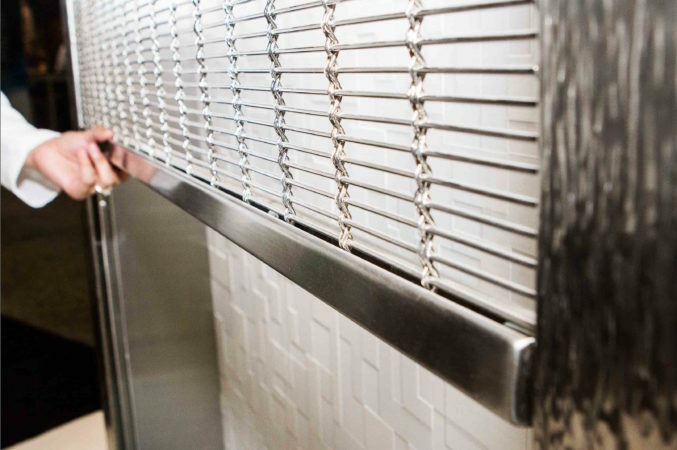 CornellCookson and GKD teamed up to create a new and innovative elegant storefront grille. To celebrate their partnership, Stoner Bunting arranged a “Metal Mixer” cocktail hour in conjunction with Architizer, the premier architectural platform that brings together architects and manufacturers. 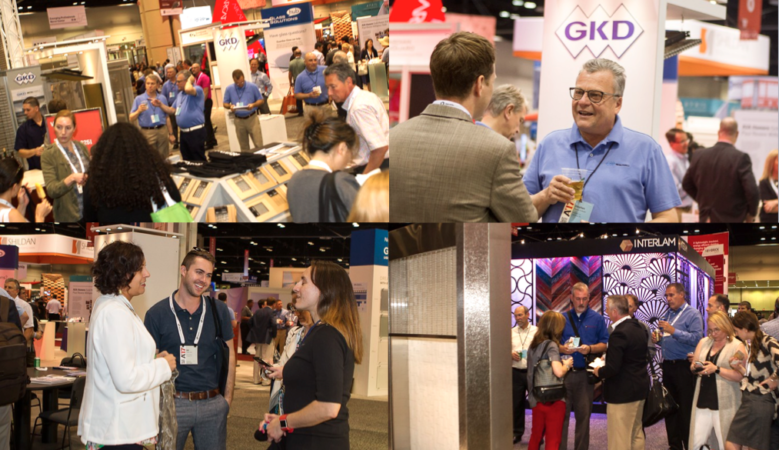 Jointly located in the Cornell Cookson and GKD booths, the cocktail event was the perfect place for the A&D community to mingle with peers and learn more about the new line of CornellCookson door and closure products featuring GKD Metal Fabric. Architects, designers and editors mingle with GKD, CornellCookson and Stoner Bunting team members during the Metal Mixer. Stoner Bunting PR team members staffed both booths throughout the show. There, they fostered deeper relationships with the clients and met with editors and publishers for pre-scheduled media appointments. 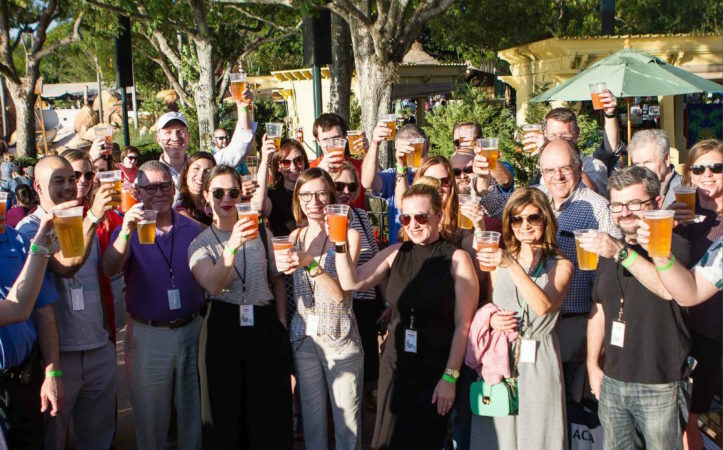 Many of the editors and publishers who stopped by also attended the event at EPCOT, further enhancing the positive relationship between both parties. So there you have it folks. This is what successful PR looks like. It’s creating value out of relationships, feelings, and other intangibles. It’s connecting great minds and thinkers from different backgrounds and fields. It’s figuring out a strategic way to create lasting, positive memories at a trade show where brands get lost like a needle in a haystack. If you’re ready to invest in public relations and modern marketing and IMC planning, contact us today. We’re ready to help.